Visa is perhaps one of the most well known credit card companies in the world. 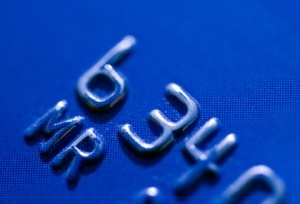 What many people do not realize though is that Visa does not actually issue credit cards themselves anymore. Instead, they have built a network and let other companies issue the cards and deal with the associated risk in lending people money. This business model actually benefits the consumer, giving them many different banks and other types of lending institutions the ability to compete for each customer, thereby keeping rates low, terms favorable and lenders on their toes. Cards on the Visa network come in all varieties. From bank debit cards to cards designed for specific parts of the population to business credit cards bearing the Visa name, there is truly a Visa card available for just about anyone. The Visa brand is one that most businesses will accept from customers but it also is one of the most common cards businesses use for purchasing, expenses and more. For a business, it is far easier to have a corporate credit card for an employee to use rather than worrying about expense reports. For example, many companies will treat their employees to lunch from time to time. Rather than a manager having to do an expense sheet, using the business’ Visa card for the purchase makes it easier for everyone. Likewise, choosing to use Visa credit cards over antiquated purchase order systems speeds up business transactions quite a bit. The small fee vendors pay on each Visa transaction is more than made up for in the form of lower overhead costs and labor costs. From consumer credit cards geared toward getting credit cards to those who have no credit or bad credit to special consumer credit cards that are designed for big spenders and often do not really need a credit card but want the perks associated with Visa credit cards, there is a special Visa credit card for everyone. For college students, there are some special programs that give parents joint access to the account and often times will give parents some more detailed account management tools so they can keep the spending on the account in check easily. Second chance credit cards as well as credit cards designed to help people establish a credit rating are also available, all bearing the Visa credit card logo. These cards may have very limited credit lines and special financing terms that only those who really need to build or rebuild a credit report would be alright with. However, they serve an important use in helping people ultimately get a better Visa credit that has a higher limit, more favorable interest rate and a lower annual fee. Many people opt to get a Gold, Platinum or other type of special Visa card when they apply for a Visa credit card. Even for those who don’t need the credit card or even things such as travel miles, there are some excellent benefits to these cards. Many do offer perks such as travel miles or points that can be used for special purchases but these cards take the promise of Visa and go a few steps further with it, giving members consumer protections on the purchases made with the card. With some limitations, warranties are given on products that typically have none or are extended simply because the special Visa card was used. There are many different types of special bonuses Visa credit card users can get and the special versions of these cards offer many more. In recent years, the popularity of ATM cards that are also setup to act like credit cards has exploded. Virtually everyone now carries a branded debit card and many of those are Visa credit cards that are linked directly to a bank account. Rather than taking money out in the form of credit, a Visa debit card gives card carriers access to the Visa network and many of the protections of a Visa credit card but without having to have a good credit score to get that access. Instead, the money comes directly from the card holder’s bank account each time they use their card. These cards typically can be used as ATM cards, in other words by using the card’s PIN number or they can be used as credit cards, complete with the ability to leave a tip and the requirement of a signature in most cases. Many Visa debit cards also give card holders access to some of the popular points programs and other special programs that reward the card holder for using their card. In fact, in recent years Visa has even had contests where entries were gained simply using one’s Visa debit card, all the while Visa credit card holders were not eligible. The most recently created of the Visa credit cards; Visa gift cards have become more and more popular. They give people a convenient and better than cash method of paying for virtually any item or service that accepts Visa and in some situations Visa gift cards will be accepted when Visa credit cards will not. They are easier to keep up with than cash and in most cases are reloadable. For teenagers, this can be the best solution, giving them access to all that Visa has to offer, especially the ability to not carry and lose cash but also keeps parents and the kids from worrying about budget issues. With a Visa debit card, the card holder will always be aware of the balance on the card and it is impossible to spend more than is on the card. They are often given as gifts, partially because cash gifts are still considered inappropriate but also because for most people receiving them as gifts, they actually are more useful than cash. For the typical teenager who has music playing constantly, cash cannot buy MP3’s off the internet to add to their music collection and even older adults are finding cash to be such a bother that a Visa gift card seems far nicer and infinitely more useful overall.